Permanent Hair Coloring Techniques Scottsdale. The best look with permanent hair color. hair color. Both men and women color their hair, whether to hide gray, keep up with the latest catwalk trends or just for a change from time to time. At Sachi Studio's in Scottsdale AZ, the reasons for permanent color changes are as varied as the shades that are applied to clients’ locks. Applying permanent color is a process that involves masking the natural color of the hair with a new shade, which can be lighter or darker than the natural tone. Recent advances in the scientific application of hair color mean that the process is kind to hair – the days of using peroxide-based colors to bleach away the hair’s natural tones are thankfully far behind us. Instead, brands such as Goldwell and Oribe condition and nurture the hair at the same time as they color it, leaving it in fantastic shape as a result of the coloring process. What sets these modern products apart from their older, hair-damaging counterparts is their use of enzymes as part of the coloring process. The enzymes work on the hair’s keratin – an outer layer that provides the hair with its structure. They nurture the keratin to enhance its natural shine and strength, leaving it beautifully glossy as well as providing intense color. Thanks to the way that enzymes work with the hair when coloring it, individual strands are conditioned from the inside out. This means that clients can benefit from achieving beautiful permanent color changes regardless of any previous treatments that their hair may have undergone. From hair that has never been colored to hair that has gone through the mill of coloring, recoloring and intensive heat styling, enzyme-based products allow for fabulous results every time. Goldwell, for example, use a patented technology that recharges the hair’s lipid levels as part of their Colorance range. This IntraLipid technology is known for its restorative abilities, repairing split ends and ensuring the hair is more durable than before it was colored. The hair’s structure is actually reinforced as a result of the process, at the same time as the color is deeply embedded for long-lasting color. Weekly conditioning masques will further aid in this process, providing the hair with even more nourishment and helping to avoid unnecessary breakage. 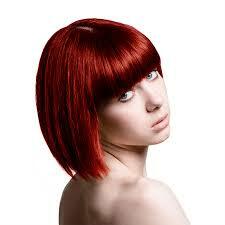 Both Goldwell and Oribe are known for their expertise in this area. Permanent hair coloring is a safe and easy process, but definitely one that should be left in the hands of the professionals. Attempting to apply permanent color at home can be a messy business and does not always achieve the anticipated results. It is both faster and safer to head to a local salon specializing in hair coloring, to take advantage of the professionals’ skills. Sachi Studio's often works with clients who have attempted to color their own hair and been unhappy with the results, all of whom are extremely happy and relieved once professional correction has been undertaken. With such hair-strengthening techniques available and such an excellent range of colors to choose from, why not book a personalized consultation with your hair color specialist today! Copyright © 2014 Rodney Gentry - All rights reserved.